Take the babies to the nursery on the Sunshine Nursery Bus! 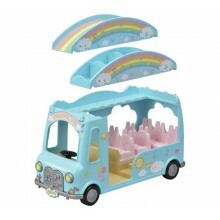 This bus can seat one driver and 12 babies, with adorable rainbow and musical note designs. The chairs on the upper deck can be turned over to make a seesaw to play with. 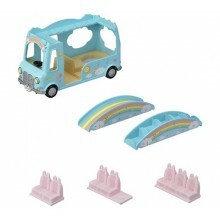 Create a large rainbow slide by setting up the upper part over the front and back of the bus. 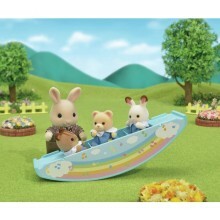 Remove the seats on the lower deck to discover the baby pool! Well-made with fine attention to detail. 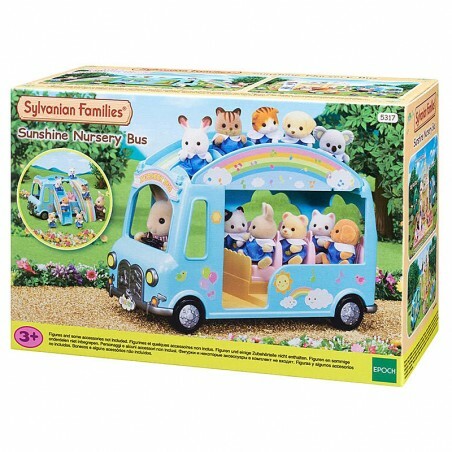 Good for stimulating imaginative role-play in children.